I've been waiting for the announcement for a while. I spoke with Frank about this in June at NTRPG and I'm avidly looking forward to launch. Legendary game designer Frank Mentzer, famed for his worldwide version of the Dungeons & Dragons® game, has teamed with fiction author Ted Fauster to revisit one of the earliest known D&D® fantasy worlds. The game continues to be one of the most popular of all time, and Mentzer’s version is still available in fourteen languages, on every continent. In 1981, Mentzer was given written permission from E. Gary Gygax (co-author of the original game in 1974) to establish and develop this little-known portion of Oerth, one of the game’s original settings. This new realm of Empyrea has a 40-year history (starting with simple materials from Judges Guild) and is still actively used. The artist Darlene, who painted Gary’s maps in his 1980 product, will create similar maps for this one. Other famous artists of that era -- including Caldwell, Dee, Diesel, Easley, Elmore, Holloway, Jaquays, and Otus -- are being invited to join the project. Empyrea is on the mysterious and isolated continent of Aquaria, east of Gygax’s World of Greyhawk™ setting. Until now, knowledge of this portion of the world has remained largely a mystery, as the broad and dangerous Solnor ocean separates the two. The continent is briefly described in the Advanced D&D® adventure “Egg of the Phoenix” (Mentzer & Jaquays, TSR Inc., 1987). Author Ted Fauster has accepted the role of Creative Aide, which was Mentzer’s original title when he worked with Gygax at TSR in the 1980s.Mentzer and Darlene will finance the set through crowdfunding, with support from Judges Guild. It will be compatible with the most recent Fifth Edition D&D® game (D&D 5E) as well as Mentzer’s own world-famous "Red Box" edition of the game. An official start date for the Kickstarter will be announced shortly after the GenCon® 50 Game Convention in August. There are some more tidbits over at ENWorld. Press release tread from Frank on G Plus. What's the significance of Madison, WI in this press release? I'm curious since that's my precise location half the week. I assume based on the context that is the location of Loxley LLC the company formed by Mentzer and Fauster to produce this Campaign Setting. Its a must buy for me! I'll back it. I'm entertained though to learn that my own home campaign that started in 1980 may be "older" than this one. Heh. I lost the interest after reading that "Empyrea combines both traditional fantasy and science fiction elements". 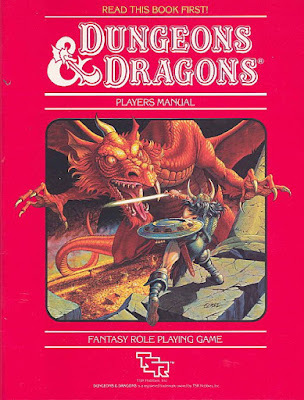 The genres weren't so wide when the inspirations of D&D (per the Appendix N of the AD&D DMG and Recommended Reading of the Moldvay Basic Set) were written. The pre-1989 editions are chock full of stuff that could apply to either genre. Actually the Appendix N is much, much more than the specific & modern books listed there. For some reason many people skips the mention of universal mythological sources and traditional fairy tales, which have much more weight both in themselves and in the actual D&D games. 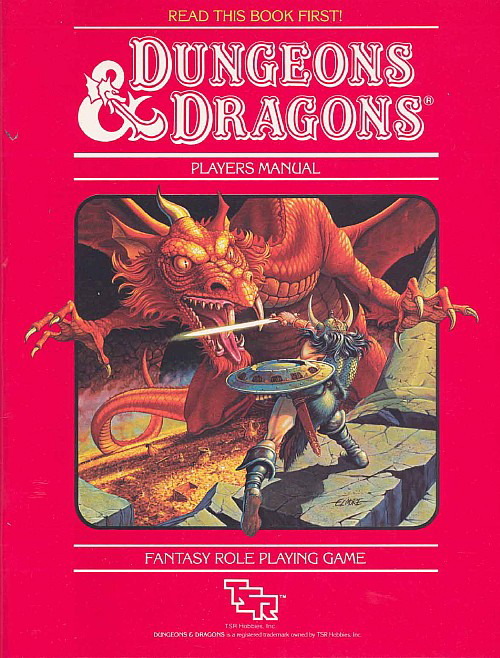 Also AD&D first edition (pre-1989) is so focused into the pseudo-medieval as the second edition of 1989. Anyhow, such a mix of the fantastic with the technological didn't make any sense even in the earlier editions (the same for books and novels) since it involves a meaningful intrinsic contradiction: such technologies require a specifically modern naturalistic & materialistic mentality, which excludes, due to its reductionism, the dimensions of fantasy and myth, which are far beyond the mere aesthetics. So to my mind to keep pushing such an unfortunate mix of incompatible focuses, as many OSR people has been doing as well, is a sort of regression into chaos, not a return to anything genuine nor better. Mentzer's a total, total fraud that's been exaggerating his importance as the umpteenth Basic editor from the second EGG passed.